Providing an in-depth introduction to the skills and knowledge needed to run a performance, this course is ideal for anyone interested in the technical side of the creative and performing arts. Initially, you will study both the design and technical sides of productions to increase your overall employability. 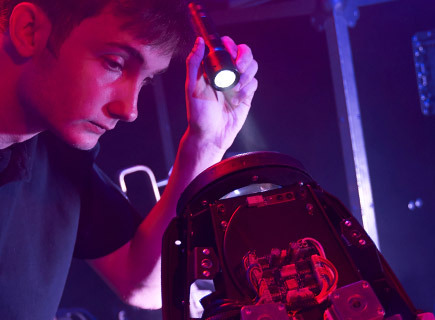 As the course progresses you can specialise in the technical areas relevant to a career as a creative technician making performance possible. The technical requirements of performance production are diverse, so you will benefit from our solid, project-based learning approach. 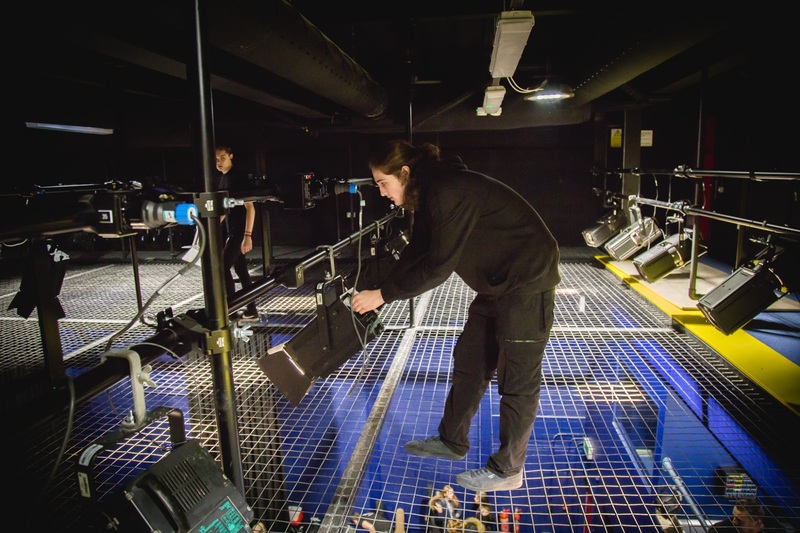 The University of the Arts London (UAL) Level 3 Extended Diploma in Performing & Production Arts will cover a wide range of activities across areas such as lighting, live sound, stage management, and front of house roles plus a grounding in key design areas. Our regular events programme will give you a real, practical opportunity to develop your design and technical skills around performances, and through workshops, assignments and projects, while working alongside students of other disciplines. Our project-based learning approach will give you the opportunity to try different design and technical theatre techniques and mediums to develop your skills. You will also benefit from masterclasses, workshops and visits from external professionals, and will carry out work experience both internally and externally across the wider performing arts community within Liverpool and beyond. The UAL Level 3 Extended Diploma in Production Arts is equivalent to three A-Levels and suitable for progression onto Higher Education. Typical projects will focus on Production for Theatre Performance, Production Arts Planning, Stage Management and Stage Sound Operations. You will also need to be prepared to undertake extra work (including after college hours), much as you would working in the performing arts industry. During your studies, you will also develop your interpersonal, critical and decision-making abilities, which will serve you well in future life. We offer a range of enrichment opportunities to complement your studies, which, in previous years, have included scriptwriting, directing, choir, debating and events management. Our students also regularly undertake trips to exhibitions and performances, at venues within Liverpool and further afield. Successful completion of this course will enable you to apply for Higher Education or to seek employment in the creative and performing arts industry. Related career paths might include set construction, stage management, sound, lighting or production design. Previous students have gone on to a range of institutions for further/higher study, including Carmel College, Cleveland College of Art & Design, Edge Hill University, LIPA, Mountview, Rose Bruford and University of Salford.